Problems With Your HVAC Unit? Without your HVAC unit in good shape, your home won’t be able to regulate the temperature and keep you and your family comfortable! If you notice troubles with it functioning properly, or if it’s been a while since it’s been cleaned, our company can lend you a hand. If you’re unsure what’s wrong with your HVAC unit but notice that it’s not working correctly, don’t worry! That’s what our experts are here for. Our team will come out and take a look to get to the bottom of what’s going on in no time thanks to our years of experience. After coming up with the best solution for your needs, our professionals will take care of getting your unit back in great shape! Whether it’s a part that needs repairs or otherwise, our company has got you covered. While your HVAC unit pulls in air from outside to use for heating and air conditioning, it also drags in unwanted substances like dirt and pollen. These materials get stuck inside the unit and stack up over time, which can cause several issues. Energy will be wasted due to your unit needing to run longer to force air through the clogs, and the strain from doing so will cause it to break down sooner than it should. The dust and other materials will also be able to pollute the air as it passes through, lowering the quality in the process, which can negatively affect your family’s health. Our professionals can take care of all of these troubles at once thanks to our cleaning services! Using high-quality equipment, our team will dislodge and suction up the blockages to completely clear it out. Our expertise means there won’t be any risk of cross-contamination with your home’s air! 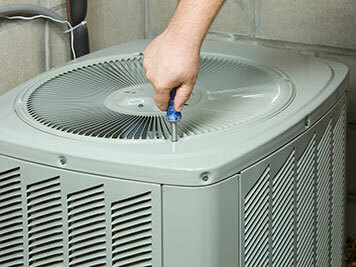 The longer you ignore troubles with your HVAC unit, the worse they’ll get over time! That’s why it’s best to let our team take care of everything for you in no time. Just call Air Duct Cleaning San Francisco now!